The original S.P.U.D. design and colorway is seen above from all angles. The 3cm keychain/zipper pull versions of the S.P.U.D.s will be blind-boxed and will come in 10 different colorways, including 2 mystery colors! 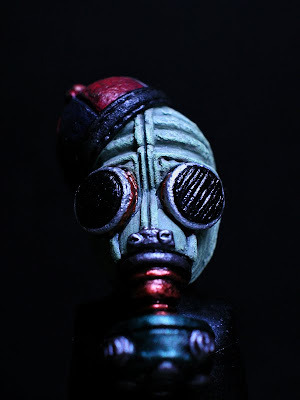 The full-size 6-inch resin art toy versions of the S.P.U.D. will be available in several different colorways through the Patch Together preorder process. Exclusive colorways will also be available to stores that wish to secure one. See that fancy turquoise one in the middle with the white accents? The one that matches our store's color scheme perfectly? That's the Tenacious Toys exclusive colorway! More info on that soon! For now you can follow das mo's projects on Facebook or on his website. 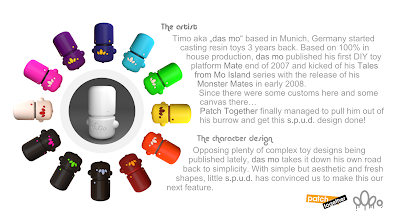 We are happy to support das mo in his latest production toy project! Toy2R Celebrates its15th Anniversary With Big News!! With the new website, www.toy2rusa.com, up and running since Christmas, Toy2R is poised to make some waves in 2010. The new web presence of Toy2R includes a revised blog moving QEE4ALL under the roof of the new site. News about upcoming releases, updates and all things Toy2R are being posted daily. News of the continuation of the Simpsons Qee line was confirmed with the announcement of the 10” Homer Simpson Qee dropping soon. This includes the classic everyday outfit Homer as well as the D.I.Y. Edition. Plans are in the works to make the D.I.Y. available for a world art tour like the Bart Simpson Qee Tour that included over 230 original customs! 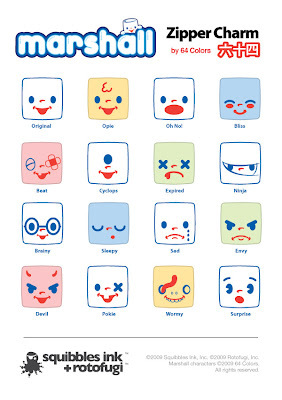 Other licensed Qee lines will be announced shortly including news about the follow-up series of Domo Qees! 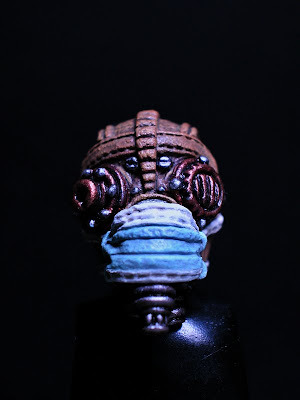 The website also features an all new Custom Qee Gallery section with over 300 original customs on display. Works from Baseman to Voltaire to rare images of pieces by Buff Monster and Obey are available for viewing. 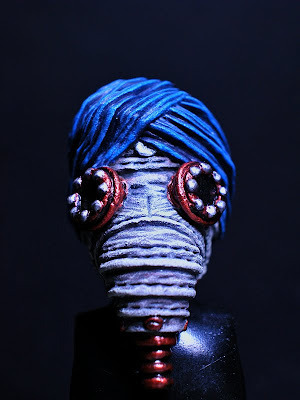 The Gallery also encourages anyone to submit photos of their original custom Qees to be included alongside some of the best customizers in the world. 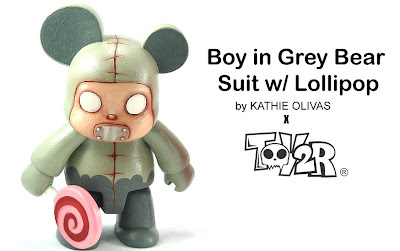 On top of all the media – Toy2R has also included a new webstore! Looking for that hard to find Qee? Need a D.I.Y. fix? Trying to finish a collection – well check out the new store to find just about everything under the sun from Toy2R. Limited edition classics as well as preorders for upcoming releases like the 2.5” Elemental Qee Series– its all there!! From Jumping Brains to exclusive Kozik’s Potamus figures! Find rare Bossy Bears and classic Rolito Figures just waiting for you at Toy2R USA! Check out the new site and see how the Qeevolution is taking shape. With updated Twitter access (@QEEBEAR) and a Facebook Fan Page collectors and fans alike can stay in touch and talk directly with the Toy2R crew better than ever before. With the announcement of the classic 2.5" Artist Qee Series being relaunched and new licensed Qee lines coming soon – Toy2R is pulling out all of the stops to make 2010 – it’s 15th Anniversary – a major milestone! Toy2R – Putting Art In Your Hands For 15 Years! Marshall Mashumaro by 64colors & produced by Rotofugi! Blind boxed, Series 1 has 19 total designs (16 regular and 3 secret). Retail pricing is $10.95 per blind box. 64Colors Marshall Marshmallow keychain/zipper pulls! 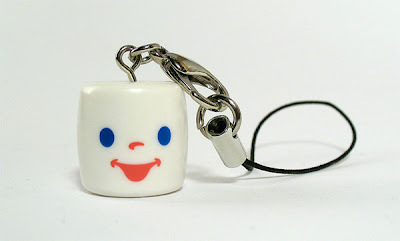 Everyone’s favorite little Marshmallow boy returns in this new series of zipper charms with clasp and loop attachments. 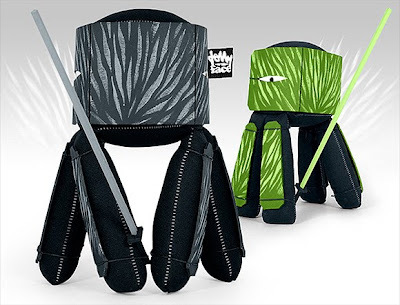 Perfect for hanging from zippers, cell phones or just about anywhere! Sixteen different designs in the blind box series. Arriving late Feb / early March. Retail will be $3.95 each. 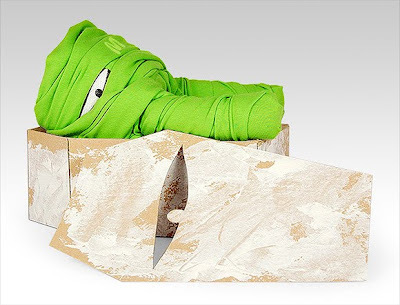 Andrew Bell's O No Sushi green colorway preorders available. Arrival date TBA. 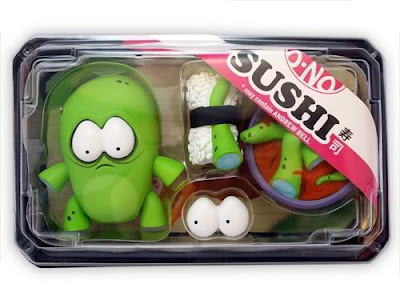 This may be the cutest, most pathetic-looking vinyl toy I've ever seen. Arriving next week: the extremely limited-edition Joe Ledbetter Terror & Magnus Death Metal edition colorway, made by The Loyal Subjects. I believe TLS is sold out of this colorway now so it is indeed very cool of them to send a case our way. Only 199 made in this colorway. $115 each, so it ships free within the US via Fedex. Everyone knows that 20/20 vision is good, but 20/10 is even better. This January, gallery hanahou is ringing in the new decade with a group show that doesn't need to squint to see a better future. 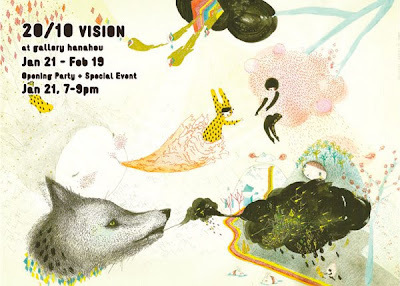 "20/10 Vision" will comprise new, original artwork from more than 40 artists - friends of gallery hanahou and artists local to NYC - with the theme of positive visions for the new decade. The works in the show will be reasonably priced so that visitors can afford to start their new year with new art. Participating artists include popular local artists like Mike Perry and Yunmee Kyong, and Kenji Hirata, and artists from afar whose work is rarely seen in New York, such as Tanja Misery and Marcus Oakley. Plus many more! In light of the recent tragedy that befell the people of Haiti, gallery hanahou and artists participating in "20/10 VISION" will contribute 20% of all proceeds from this exhibition to disaster relief efforts in Haiti. A collaborative live drawing created by the artists at the January 21st opening will be auctioned off with 100% of the proceeds going to Haiti. Come to the opening on January 21st to meet many of the artists and witness a live drawing by participating artists! Also check out cwc-i.com and galleryhanahou.com all this month to see quotes on the new year and beyond from participating artists. As a toy shop, some of the participating artists we are particularly interested in: JK5, UPSO, Superdeux & Shane Jessup have all designed Dunnys. Also Team Macho recently exhibited at Giant Robot. Daniel Yu submits to us the four 1-inch pieces below which he sculpted from epoxy. After the pieces were finished, he took digital pics of them and submitted the artwork to a local arts festival in Singapore called "Content: navigating a point". This body of work addresses the concept of identity, and questions the commonly held assumptions about stereotypes and self-awareness. 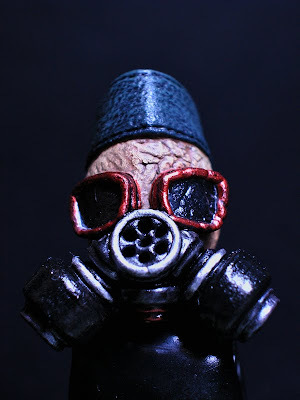 The medium and imagery of gas masks draw on the symbolism and aesthetics of youth culture, and also deal with sameness and difference between selves. The traditional headdresses contain faint intimations concerning cultural personality. This resonance of cultural identity, being based upon difference, presents itself as a divisive force in society. The concluding image suggests that cosmopolitanism provides individuals with a greater sense of shared citizenship, presenting the ideology of belonging to a single community. Ergo, to not always be divisive. As individuals, we share an inherent part of “make up” that provides a common ground and alternate means of identifying with each other. You can find out more about Daniel on his blog and his Flickr page. Three additional posters have just been released by Poster Cause to benefit Doctors Without Borders, currently operating at full capacity in Haiti. From left to right, the new posters are by Eboy, Pon & Scribe. $15 each, view all 6 earthquake relief posters at the Poster Cause website. 100% of profits from the sales of these posters will go to the charity. 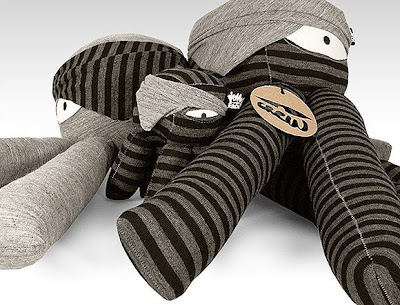 New from Jellyface: Jelly Squad, Jelly Mummy & Jelly Crew! 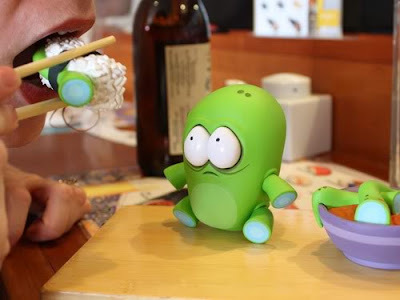 You might also want to check out Jelly Addict, one of the funniest plushes I've seen in a while! The webstore for this release is located here. hose clippers, diving suit and as always a removable helmet. We have put in our order for a batch of them and will edit this post as soon as possible with a link to the preorder.